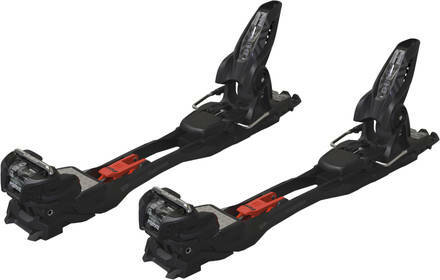 The Duke Pro EPF (Extended Powerframe) 18 is the heavy duty edition of alpine touring ski bindings with great downhill performance. With a DIN-range up to 18 this is the bindings for heavier and good skilled skiers for whom light weight product is not everything but where performance skiing down the mountain is important. The Extended Power Frame ensure great powertransfer, the climbing aid of 0°, 7°, and 10° help you on the steep uphill parts of your adventures. Use these bindings for shorter touring sessions, freeride or even freestyle. Super sweet Bindings, great price, and fast on point delivery. Surpassed my expectations.